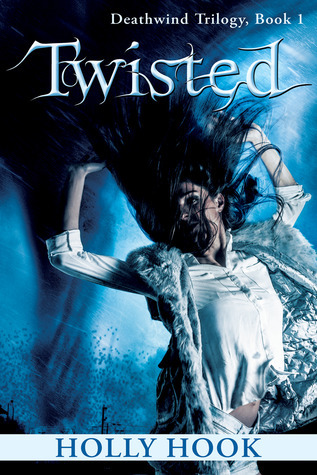 Holly Hook is the author of ‘Twisted’, a story where a girl swept up in a tornado emerges… somewhat different. But it hasn’t been selling as well as she’d hoped. So, to bounce up a few extra sales, she’s set up a sales challenge: if the book reaches 2,000 sales, she’ll let a live tarantula crawl over her face. And if it reaches 10,000, she’ll emulate the heroine of her book, and go twister-chasing. Crazy or what? Actually, the tarantula would worry me more than the twister, but that’s just me. If you want to help Holly on her way, you can buy the book at Amazon and other major eretailers. Or you can follow along with the challenge at Holly’s blog. All promotion is aimed at getting people to notice you (or the book), so that’s certainly working for her. If she sells the hoped-for 10,000, she won’t much care if most of them don’t read, rate or review it. A few will, though. She’s got nothing to lose at this point. I think it’s incredibly inventive. Brave AND crazy, I’d say! Nothing could induce me to let a spider walk on my face, so good on her. It’s certainly a catchy enough idea that it could well prove very successful for her.